“The game Hoffmann brings a little comic relief as the lieutenant." 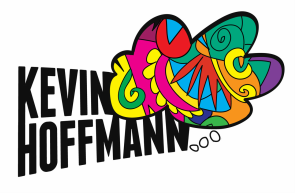 “Kevin Hoffmann is especially good as the vain and overeager Lt. Rando." “Hoffmann and Green give a heartwarming performance as they realize they are brother and sister." "...Kevin Hoffmann and Jordan McArthur are wondrous, amusing servants at this party in progress."